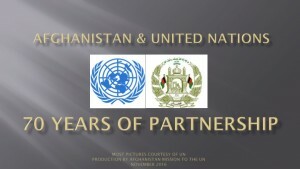 KABUL, 30 NOVEMBER 2011 â€“ The Joint Coordination and Monitoring Board (JCMB) met today and strongly endorsed in principle the process put forward by the Government of Afghanistan to address the fiscal gap that Afghanistan will face following transition. 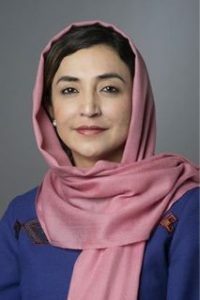 This paper, titled Towards a Self-Sustaining Afghanistan, is intended to inform discussions to be held between the Government and the international community at the Bonn Conference next week, where more than 60 Foreign Ministers from over 100 countries and organisations are expected. The JCMB supported the Government’s intention to fiscal sustainability through commitment to an aggressive programme of efficiency and reform; and renewed efforts to encourage economic growth, increase domestic revenue collection, improve human development and public service delivery. It was also agreed to work with the Government through the â€œKabul Processâ€ to implement the National Priority Programmes in a sustainable and fiscally responsible manner. The â€œKabul Processâ€ has been gaining momentum over the past months on the strength of new Afghanistan-International Monetary Fund programme and agreement on a clear path to resolution of the Kabul Bank following its failure in September last year. â€œBy endorsing this paper the international community has sent the message that the Government plan is their plan. This is very encouraging for Afghan leadership and for the process of transition,â€ said Finance Minister Zakhilwal. The JCMB endorsed two programmes: a National Rural Access Programme, and an Integrated Trade and Small and Medium Enterprise Support Facility Programme.